Daniel J. Miles is the managing principal partner of Marquise Investments, the multi-family affiliate of Crown Holdings Group, LLC. Mr. Miles has over two decades of experience acquiring, developing, financing and managing real estate assets. Mr. 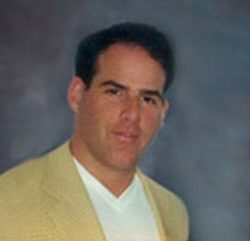 Miles began his career with the founding of MPI, INC in 1990 where he acquired and developed over 35,000 units with a market capitalization of over 1 billion dollars. While at Marquise Investment, Mr. Miles has sourced, acquired, and sold over 10,000 units over 5 years. His additional responsibilities at the Company include the raising of capital, asset management, and Investor Relations. Mr. Miles received his Bachelor of Science undergraduate degree from Georgia State University and is involved with several charitable organizations in the Atlanta community.